A chair is a chair. Yes? 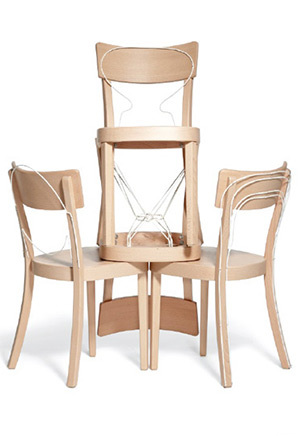 That would mean that a Horgen Glarus is an Eames is a Jacobsen is a Starck is a Thonet? Definitely yes! 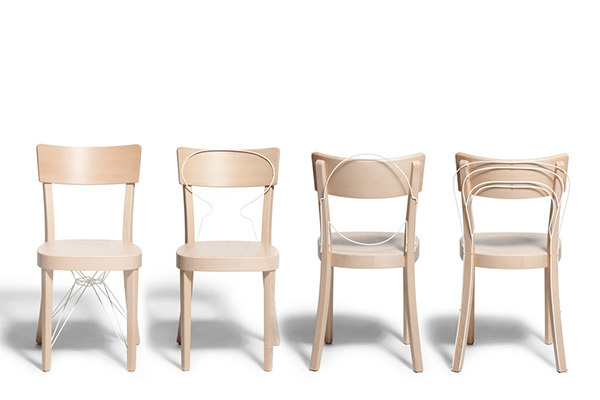 The «Take a seat» project is part of the interior design of the Café/Bar Z am Park in Zurich. 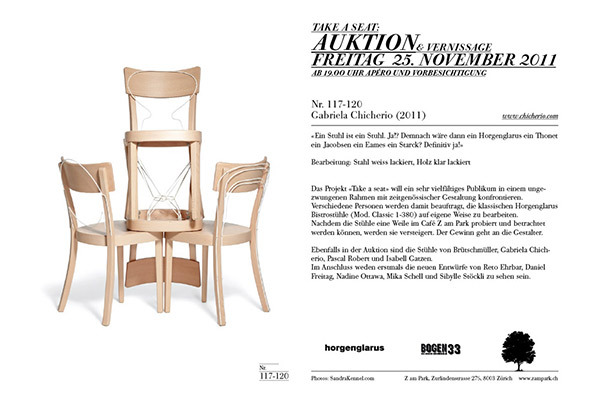 Different designers and artists are asked to remodel and transform the classic Horgen Glarus chair. Those chairs can be examined and tried out during 4-6 month at the Café before being auctioned off. The project is supported by Horgen Glarus and Bogen33.